Many industries are in the final stage of a transformation process – a process that will change their business forever. A number of interconnected global megatrends are putting them under greater pressure and causing them to change their value chain models, and consequently the core functions of their organizations. This transformation has a particularly strong impact on procurement. More than any other function, procurement is a seismograph for global change – an early indicator of the shocks, disturbances and innovations that today's highly complex international networks of companies are subject to. Disruptions in industry, manifested as changes in value chains, inevitably trigger a revolution in the functions that control those value chains. The final stage of transformation for industry also means the final stage of transformation for procurement. More than any other function, procurement is a seismograph for global change. New technology will lead to the complete digitalization of procurement and create end-to-end, real-time transparency over value chains, from the producers of raw materials to end customers. At the same time, most tactical and strategic processes in procurement will be fully automated. Artificial intelligence (AI) and specialist "bots" will make the majority of traditional operational procurement decisions. In many areas, human input will be entirely superfluous. Automation will inevitably lead to the commoditization of many procurement processes and their subsequent outsourcing to specialist providers. Third parties can offer economies of scale, enormous computing power, robust data security and powerful AI-based applications. Amazon Business and the like indicate the shape of things to come. In parallel, the requirements placed on procurement in terms of support for corporate strategy will change significantly, both within industries and between different industries. The tasks of procurement are becoming more and more diverse, largely due to disruption in specific industries, dramatic changes in business models and the development of new products and services. Taking these four factors together, it is clear that the final stage of transformation for procurement is far more than just an evolutionary process of digitalization. It is the result of a revolution, triggered by new requirements from industry and businesses combined with radical opportunities offered by digitalization. This is a unique chance for procurement to reinvent itself as a value creator – and for chief procurement officers to become playmakers within their teams. A once-in-a-lifetime opportunity has arisen to put strategy, rather than operations, at the top of the procurement agenda. Tomorrow's procurement function will be less concerned with monitoring costs and availability, and much more focused on questions of added value, risk and innovation. The procurement function will radically change its traditional modus operandi. Today, it plows most of its resources into managing systems and suppliers; in the future, it can focus exclusively on critical aspects of these largely automated processes. This will allow procurement to concentrate on developing the value chain and cooperating with strategic suppliers. The shift in the range of tasks for procurement toward strategic, qualitative issues places strict limits on the effectiveness of standardized solutions and procedures. 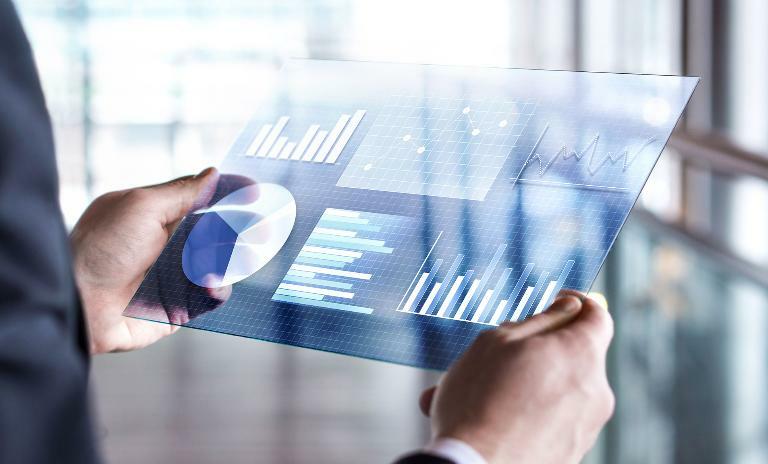 The digitalization, automation and commoditization of a large part of procurement's work is just one aspect of the transformation affecting procurement. In parallel, industry-specific disruptive processes are changing the environment in which procurement operates, creating enormous complexity. Examples include electric drive concepts and multimodal mobility in the automotive industry, 5G and narrowband in telecommunications, new healthcare concepts, and blockchain in banking and insurance. The changes that are taking place differ significantly between industries, markets, corporate structures and supplier networks. The solutions therefore also differ from case to case. As with the changes triggered by digitalization, there are no one-size-fits-all solutions but only solutions tailored to individual companies. This final stage of procurement transformation, driven by technological and industry-specific factors, will determine what role procurement will play in the future. It remains to be seen whether procurement will seize the opportunities available. 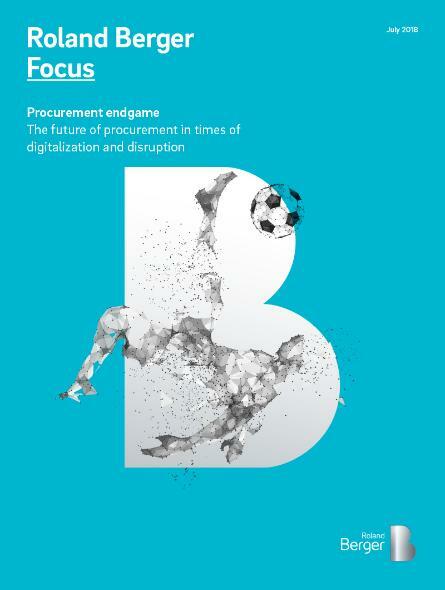 Procurement across industries is in an “endgame” phase in which it must transform itself into a more strategic partner for the business – or cease to exist.